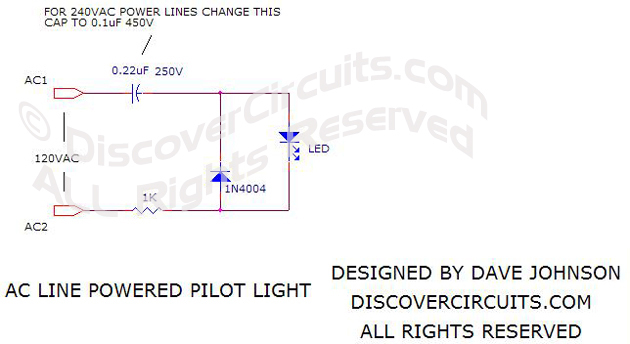 Circuit: AC Line Powered LED Pilot Light __ Circuit designed by David A. Johnson, P.E. This simple circuit can be used to light a LED indicator lamp, powered from the 120vac line. I have included component values for 240vac lines as well.